In his superb new autobiography, Sir Alex Ferguson writes that, “There is a price to pay when you support a football club, and the price is that you can’t win every game.” We Bradford City supporters should understand this better than most, with the wounds of the 12-year fall from grace still visible, if at least healing. We certainly know all about losing, and the recent six-game winless run has seen a re-emergence of feelings of disappointment, despair and disgruntlement. It has been very interesting to observe how we, as a community of supporters, have dealt with the first genuine set-backs since promotion was so gloriously achieved last May. The goodwill built up from those 2012/13 heroics has certainly provided the players and management with a level of protection from most supporters turning on them; although with others, memories have proven a little shorter with some extremely strong criticism. Short memories, because we’ve been here before. Many, many times over recent years. Winless runs have at times wrecked seasons and done for managers, but they should also have provided us long-suffering supporters with a level of perspective and calmness when they re-emerge. Let’s, if you can take the pain, look at the common trends of a winless run. All winless runs seem to emanate from one afternoon or evening where things unexpectedly don’t go to plan – and the effects are felt for weeks after. Was it an unlucky defeat or did the manager mess up tactically? Opinions are inevitably split on such occasions, which sees the debate continue even beyond the next few games. The 1-0 defeat against Tranmere last month was a classic example of a haunting defeat. We could have cemented our play off place, and were up against a side bottom at the time. Did Phil Parkinson pick the right team in view of the defensive absences, or would it have been irrelevant if the referee had done his job right? The 2010/11 January run (six winless, the near end for Peter Taylor) was similar. On the cusp of the play off spots, a win at home to a hapless Barnet would have seen a difficult season fall into line, but City collapsed and turned a 1-0 half time lead into a 3-1 loss. In March 2008/09 (nine winless, Stuart McCall play off hopes ended) a 3-0 defeat at Rochdale saw a combination of missed chances (Thorne one-on-one at 0-0) and dodgy refereeing that was rued for weeks after. 2006/07’s October collapse (eight winless) began with a surprise 1-0 reverse to Huddersfield. March 1999/2000 (six straight defeats) Southall-gate against Leeds. Last season’s poor winter (six winless) began with an unexpected 4-2 thumping by Rochdale. These defeats aren’t widely anticipated prior to kick off, and therefore shake the confidence of players and supporters in a manner not immediately clear until a few weeks later. If only Ian Goodison had been sent off last month, if only Thorne has scored in 2009, if only Matt Clarke hadn’t fallen down the stairs in 2000. ‘If only’ tears you apart. In the context of a 46-game season of ups and downs, City’s October 1-0 loss at Crawley was fairly run-of-the-mill and quickly forgotten. But when this type of narrow defeat occurs at the beginnings of stuttering form, it is soon used to build the pressure on the team. I thought it was ludicrous that the Telegraph & Argus trotted out a stat about how City had gone almost 225 minutes without scoring, in the build up to the game that followed the Crawley loss. This ‘barren’ run included 43 minutes at Walsall when City were defending a 2-0 lead – was it such a bad thing we didn’t score during that period? And though consecutive blanks against Tranmere and Crawley wasn’t great, it didn’t warrant the ‘goal drought’ angle from the T&A. The aforementioned 2008/09 collapse saw City lose 1-0 at soon-to-be-promoted-Exeter following the Rochdale loss. The second game of the autumn 2007/08 struggle (seven winless) was a not-great-but-not-terrible 1-0 defeat at home to Wycombe. Game two of the March 2011/12 dip in form (six winless), which placed City on the edge of the relegation zone, was a 1-0 reverse at Aldershot. In normal circumstances, such narrow defeats are quickly shrugged off and the next game won, but on a winless run they begin to be looked back upon as a poor result the longer it takes to find that elusive win. It is almost ludicrous that City’s current run of disappointing results includes the outstanding performance at Preston. 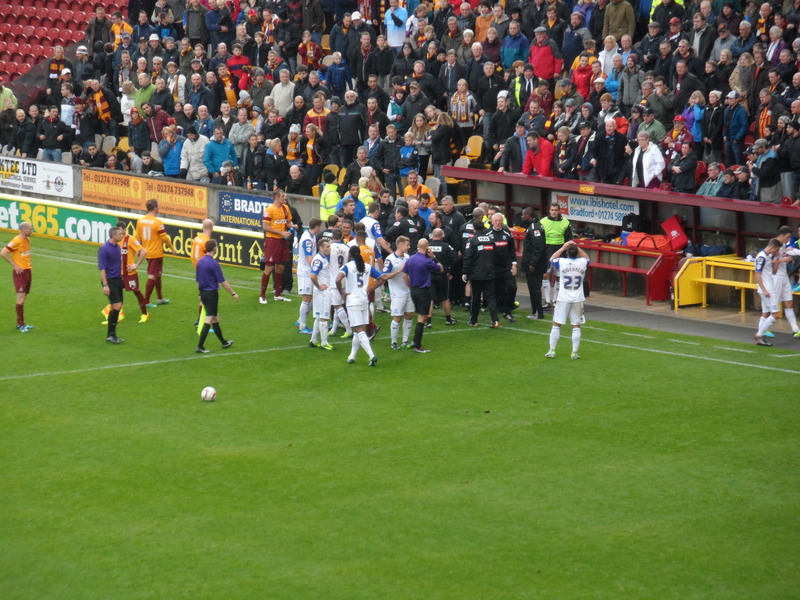 The Bantams drew 2-2 against fellow promotion rivals, but could easily have won a gripping contest. Somehow, such high moments are quickly forgotten when they don’t prove to be the turning points we hope they might prove to be, and are unfairly clobbered together with the poor results before and after it. Really we should all say “six games winless, but that does include an outstanding display at Deepdale”. In 2003/04’s Nicky Law-ending slide (12 winless), there was a 2-2 draw at Reading where City impressed greatly. 2007/08 and 2008/09’s slumps included very promising home draws against Darlington and Brentford respectively (the latter with Peter Thorne’s delirium-sparking last minute equaliser). These are rare glimpses of light, even if they turn into false dawns. But they give hope and sustain you. They offer something to cling onto and should be viewed more positively. The recent Wolves game split opinion, but even if – like me – you felt City were second-best that day, there was no disputing how well we played and how unfortunate the players were not to gain a point. Against a side with huge resources and plenty of ability, the Bantams gave Wolves a tough afternoon. There was no reason to be down-hearted that day. In 2003/04’s run, there was a similarly heart-warming 2-1 loss to Derby County where City played the Rams off the park. 2006/07, a 1-0 reverse to eventual Champions Scunthorpe United that could have easily gone differently. Peter Jackson’s August 2011/12 exit (five winless) featured that brilliant cup performance against Leeds. “Just play like that next week and the much-needed win will come.” But, of course, we don’t. The recent 0-0 draw with Crewe was not clever on City’s part and for me ranks as the worst league performance of the season so far. Coming off the back of that Wolves display, it was extremely worrying to see City’s performance deteriorate by the minute and to be hanging on grimly at the end. Take a breath, here we go: 2001/02’s Jim Jefferies October slide, a 3-0 loss to Wolves; 2002/03’s seven straight losses, a 5-0 thumping to a rampant Sheffield United; 2006/07’s 2-0 surrender at Oldham; 2007/08’s heart-wrenching Friday night 2-1 at Morecambe; 2008/09’s 0-0 at Chester; 2010/11’s 2-1 at Oxford; 2011/12’s midweek 1-0 at Crewe; last season’s New Year’s Day 0-0 with Morecambe. Phew, okay you can look again. There comes a game where the tide of public support for the team is wiped away and anger becomes the more dominant mood. Once the majority of fans turn on the team in such a way, a poor run starts to feel like a crisis that is very difficult to turn around. The 3-0 FA Cup defeat to Rotherham on Saturday is an obvious example of this, with over 2,000 City fans returning to West Yorkshire outraged by the performance. 2006/07’s 4-1 thrashing at Blackpool always stands out to me as a huge snap moment. Colin Todd was struggling for popularity the season before, but had won people around following a strong start to the campaign. Yet after the Huddersfield and Scunthorpe set backs were withstood relatively calmly, a horror show at Blackpool saw support for the manager and players decline considerably once more. In 2002/03, there was the horrendous 5-3 home defeat to Wimbledon and the year after a 2-1 loss to the same opposition that all-but-sacked Nicky Law. 2007/08 saw the infamous Accrington 0-3 embarrassment; 2008/09 the Good Friday humbling from Morecambe; 2010/11 a pathetic 2-1 at home to Lincoln. The players are, of course, booed off, and message boards go into overdrive. Duck and cover. As hard as it seemed to believe when going through some of these desperate winless runs – they all came to an end eventually. What is interesting, looking back, is there is a common theme in the type of match and performance where City finally turn it around. Against a fancied side, with a gritty backs-to-the-wall herculean effort. 1999/2000, a 1-0 Easter Monday win at in-form Sunderland; 2002/03, 1-0 against play off chasing Notts Forest; 2008/09, 2-1 over then-second Chester City; 2010/11, 1-0 over eventually-promoted Wycombe. This Sunday’s match in many ways offers the perfect opponent, Coventry, to turn the current slump around. Everyone knows Coventry are a good side, but games against more difficult opposition bring out the best of City fans. The players are certain to be fired up, and will be desperate to respond to Parkinson’s strong words post-Rotherham. I am glad we are not facing bottom of the league Notts County at this point (that’s to come a week after), as the pressure would weigh heavily on the players and patience from the crowd wafer-thin. Sunday might not bring an end to the current poor run, but it is a game that will suit City. We desperately need a pick-me-up, and there would be no better opportunity to get the season going again than to beat a much-fancied side live on national TV. 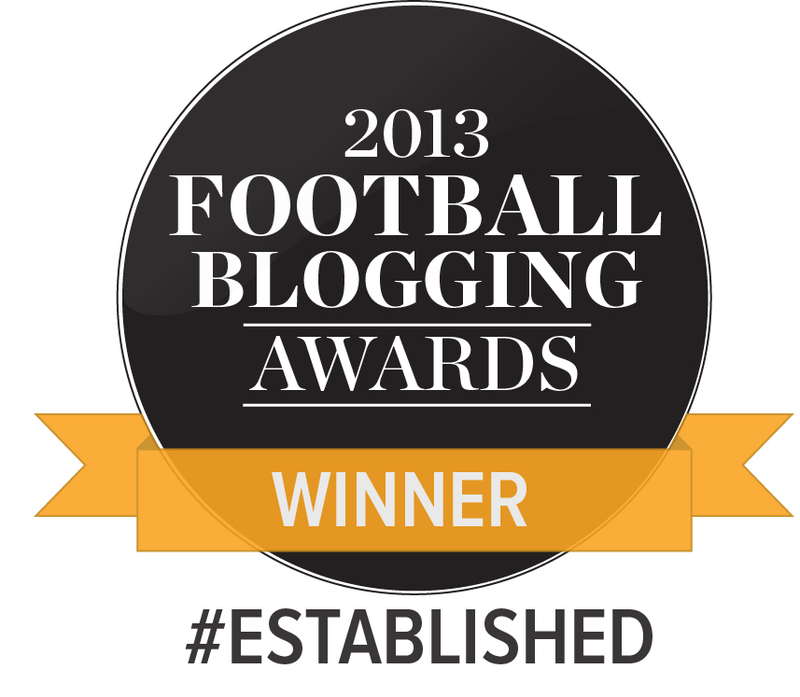 We have been shortlisted for ‘Best Football Club Blog’ and ‘Best Established Blog’. An interesting perspective on the ‘losing streak’ Jason. I think you’re points about the varying collective psychological responses to the situation and to different types of game during such a period are good ones, and ultimately they can have a reinforcing impact on a team/club when it’s down. However, that’s not us this time, and as you say, bad runs do come to an end eventually. I’m hopeful that this weekend will be when that happens obviously, but given some reactions to recent games I’m silghtly apprehensive about the sort of responses there might be should the winless run continue on Sunday, although to some extent that may depend very much on how we don’t win if we don’t win. Well thought out stuff as usual Jason, but I think it is sending me into a decline.